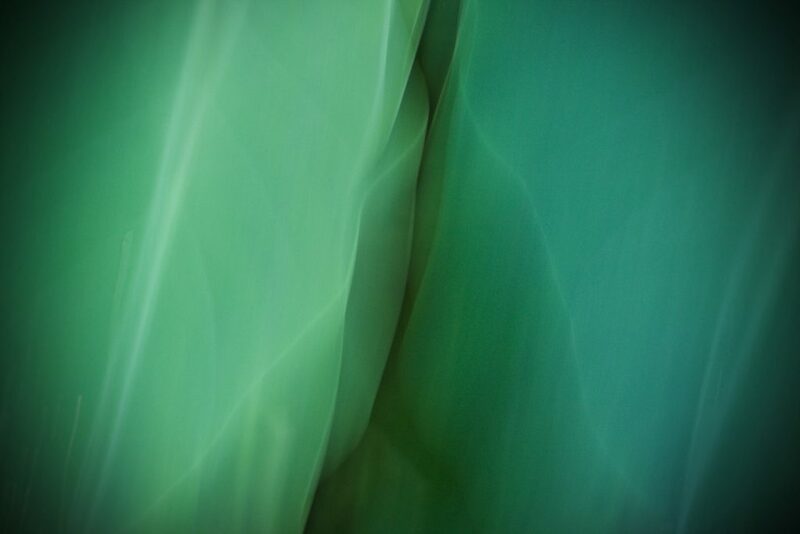 These are photographs taken ‘in camera’ as a single exposure. 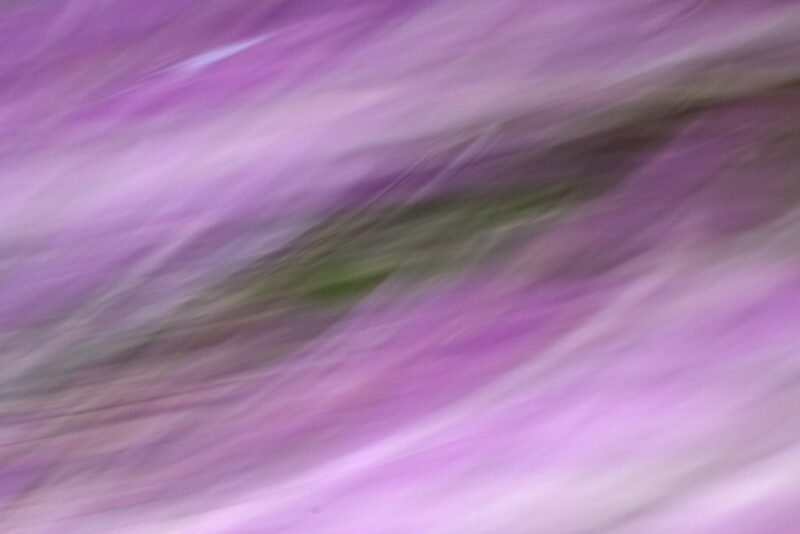  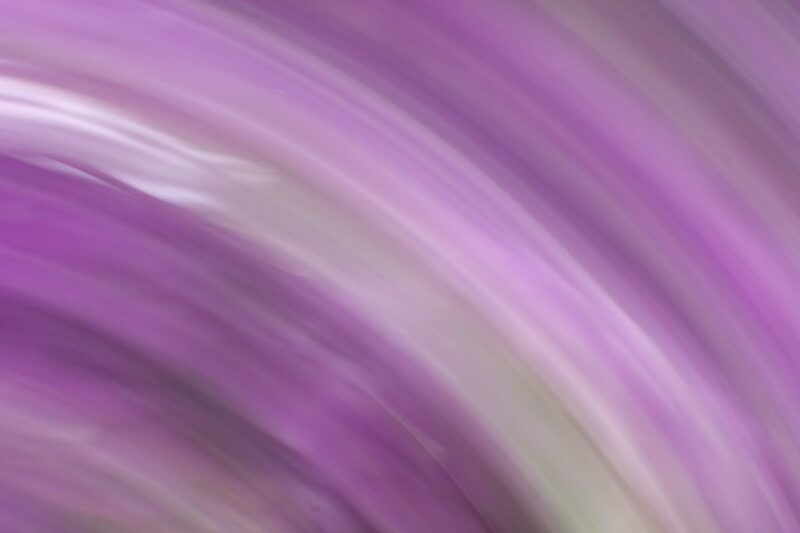 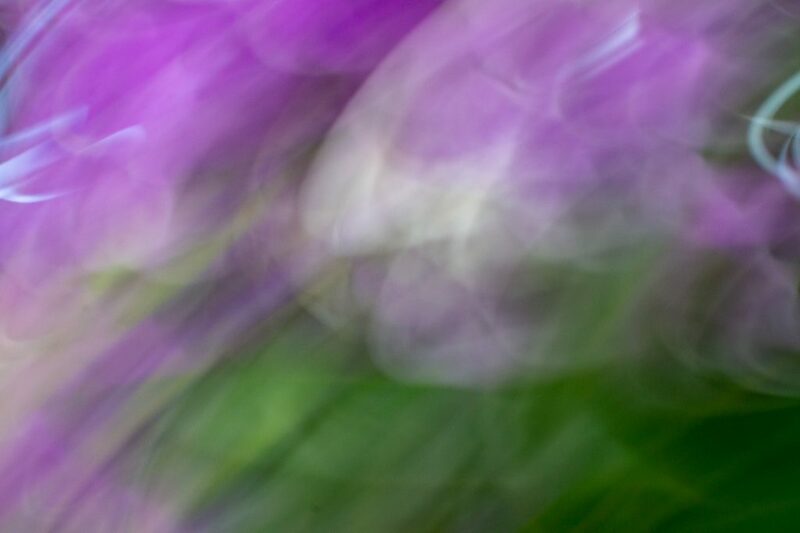 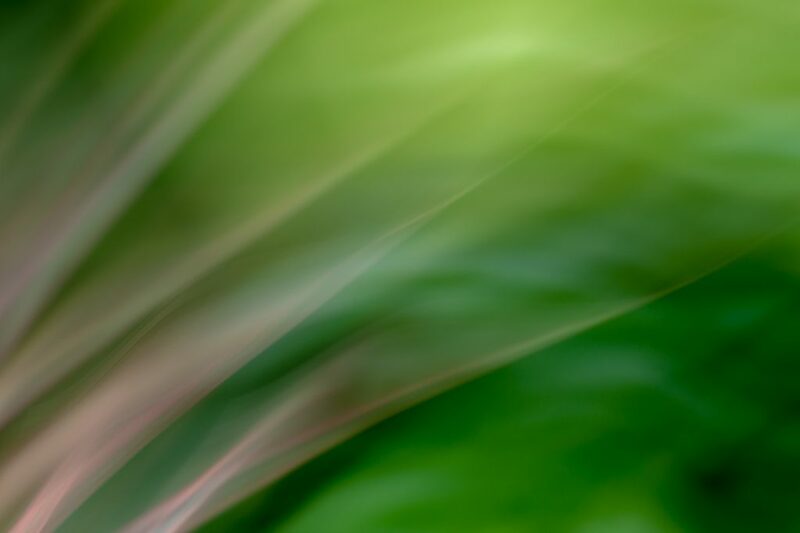 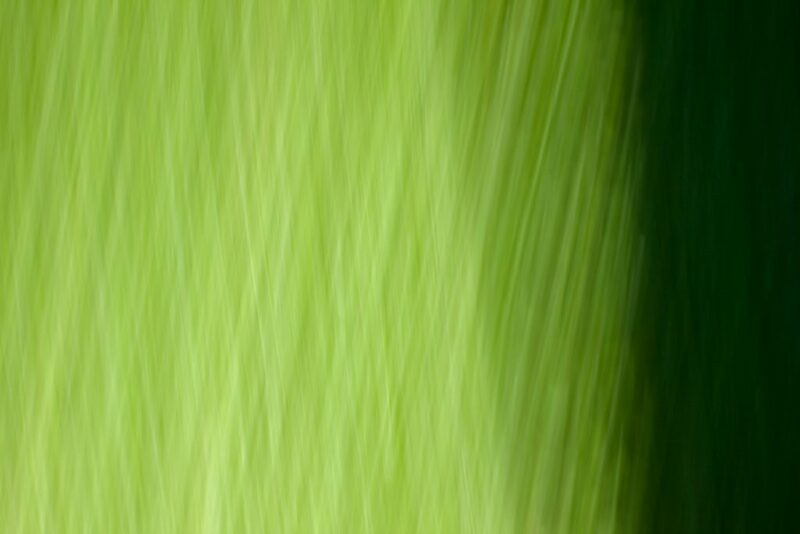 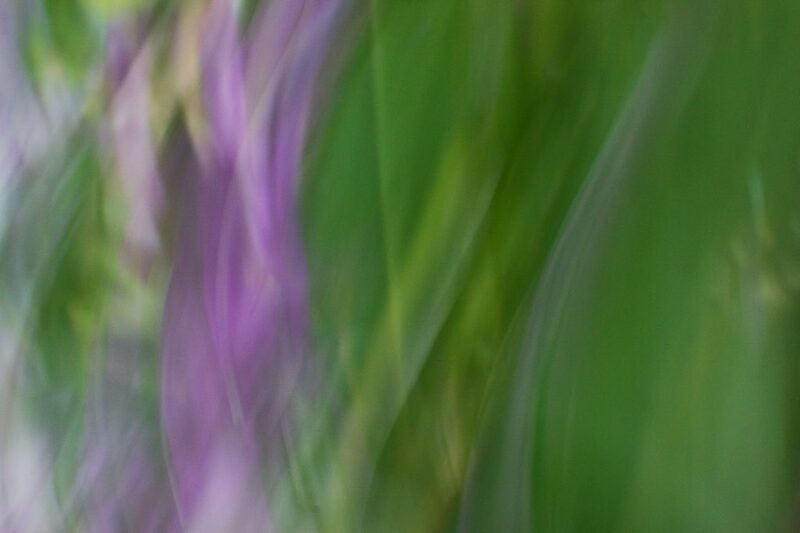 They are created using a slow shutter speed and intentional movement — hence the name Intentional Camera Movement (ICM). 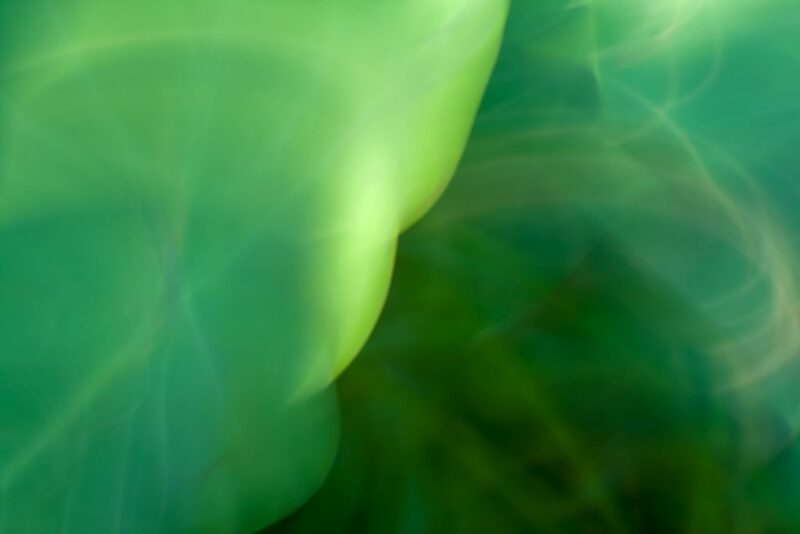 The idea is to allow the subject to reveal itself to us on a more soulful level – not as ordinary representation. 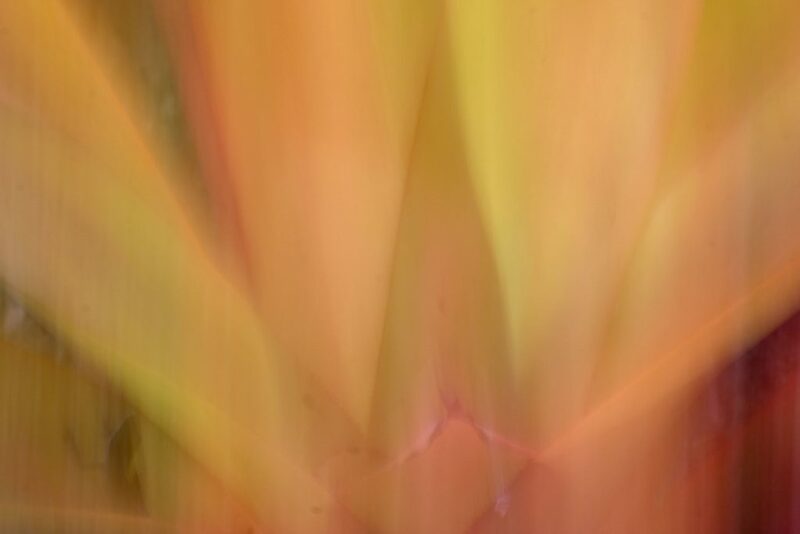 In Hawaiian, the word is naka – which is the inner vibrational state that every living thing possesses. 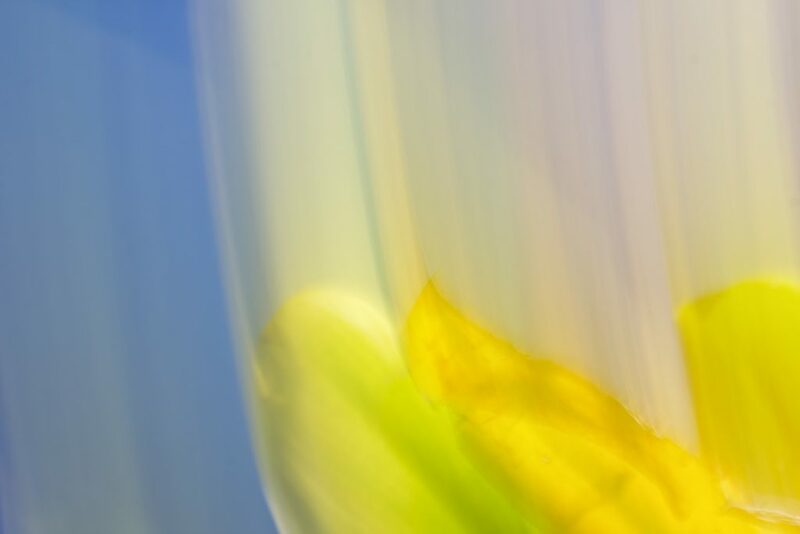 I aim to give the subjects a chance to show us more of who they truly are. 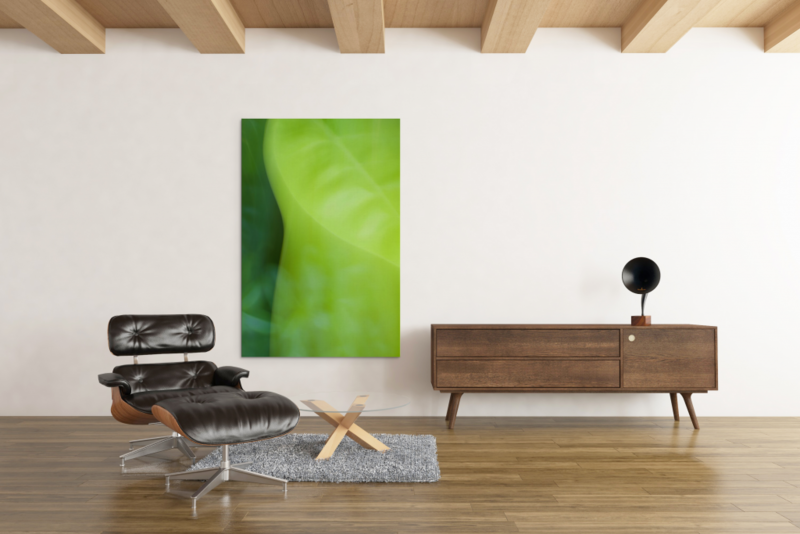 This work communes with plants and flowers. 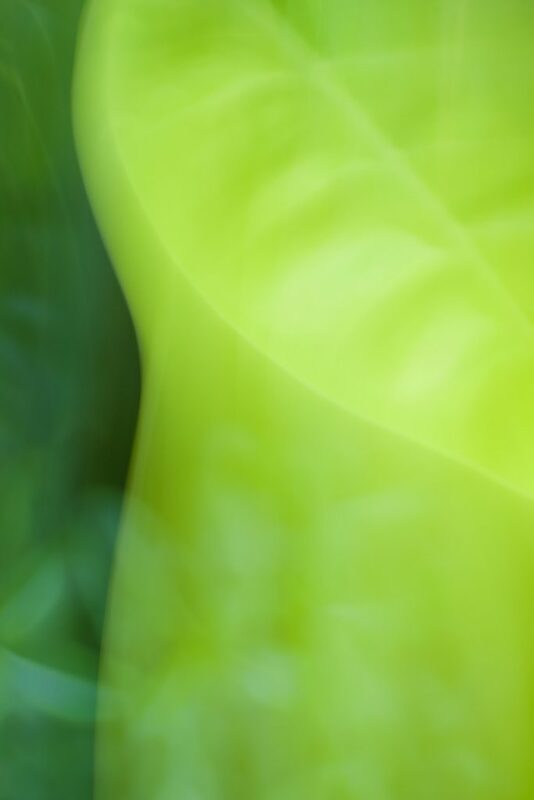 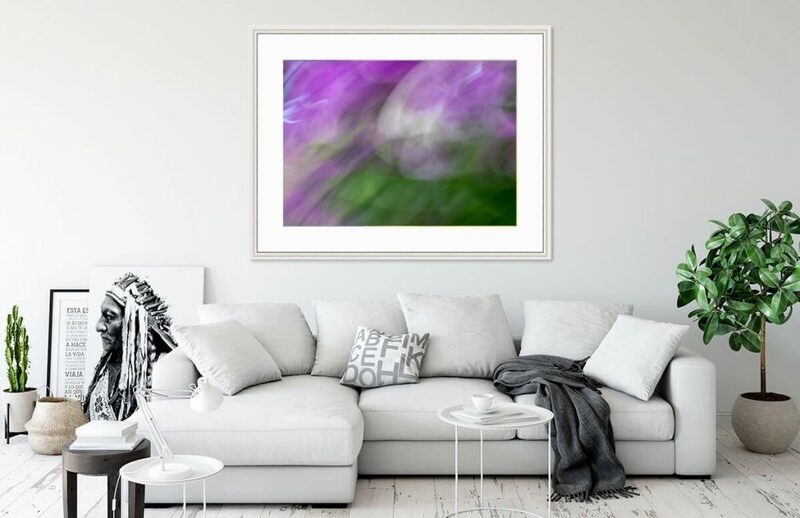 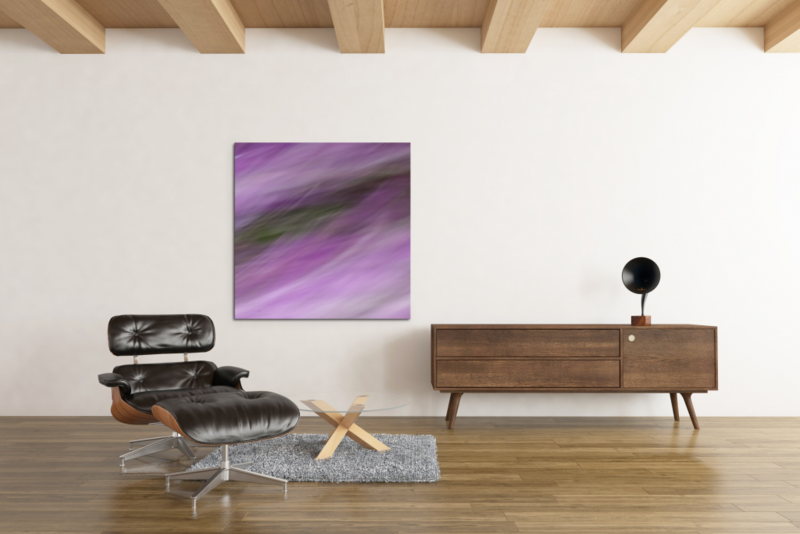 I am not just looking for a fuzzy image – rather, I am looking for a composition and a statement that express both the dynamic and receptive energy of the subject. 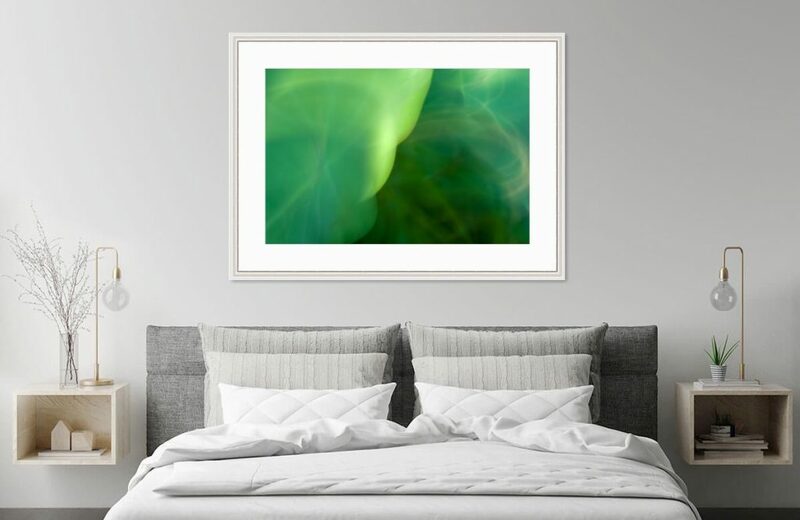 I am especially in search of depth — as the idea is to go beyond the surface, beyond the superficial or familiar understanding to something more intimate and complex. 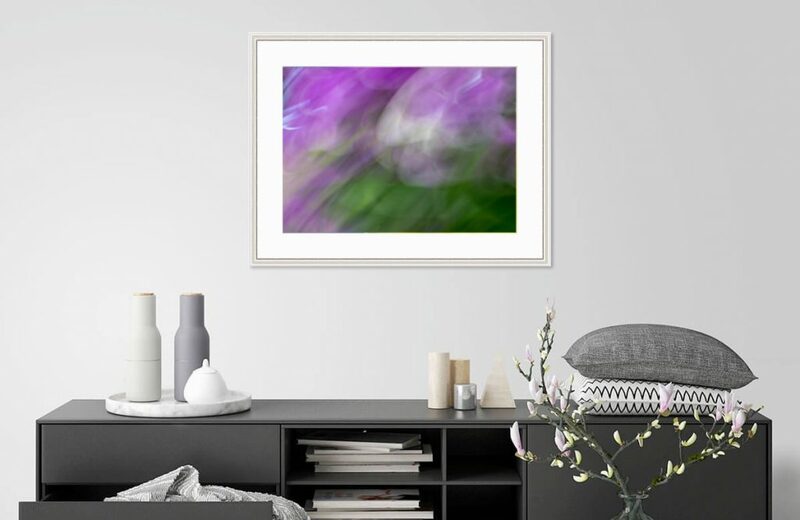 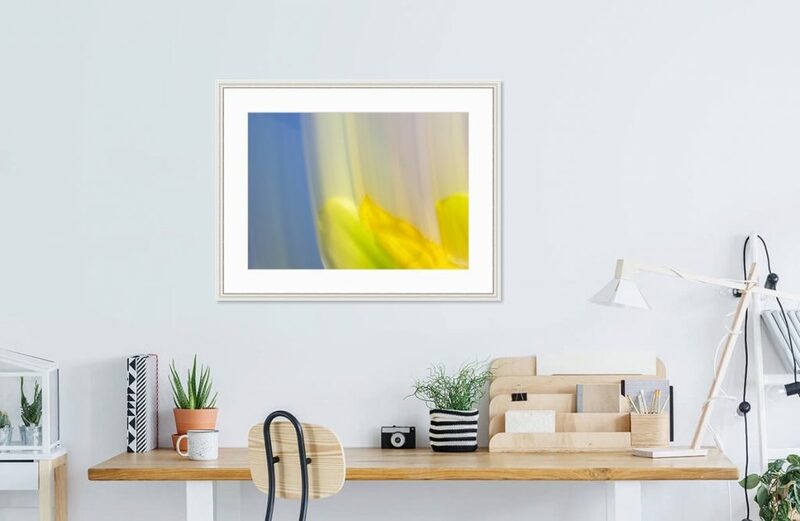 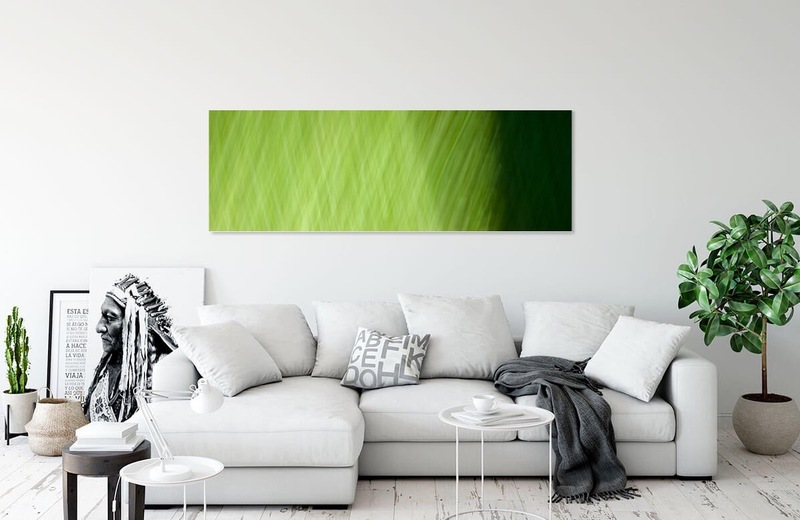 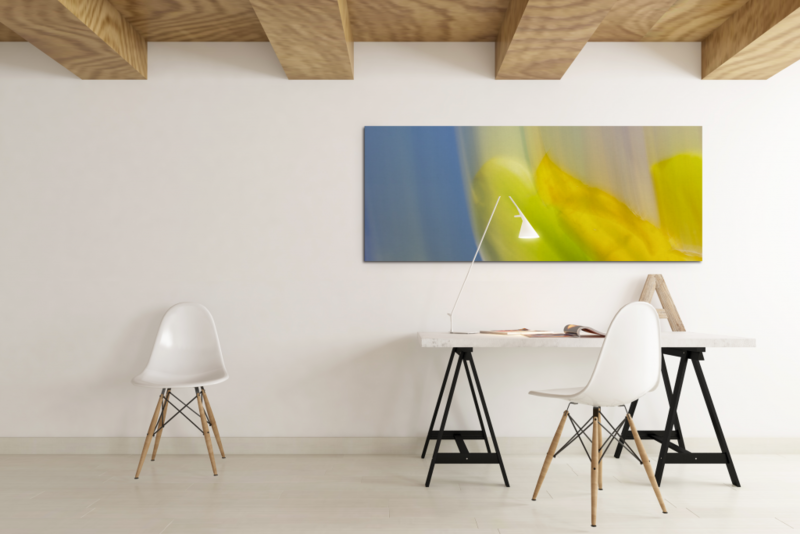 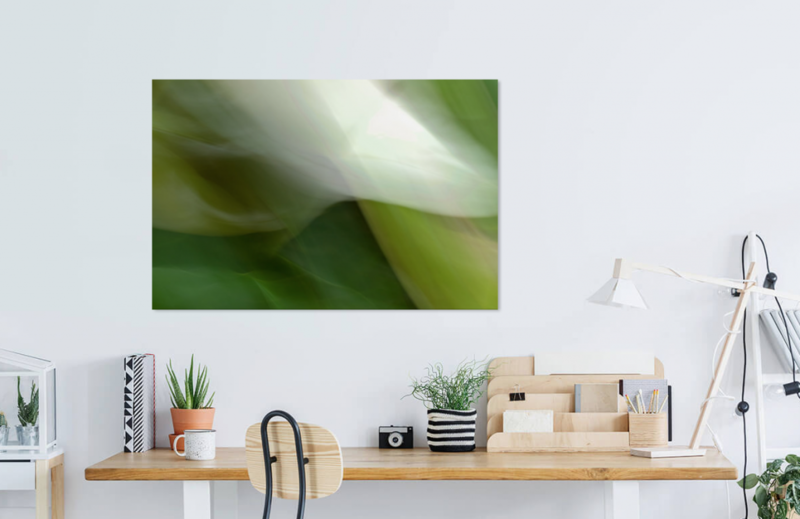 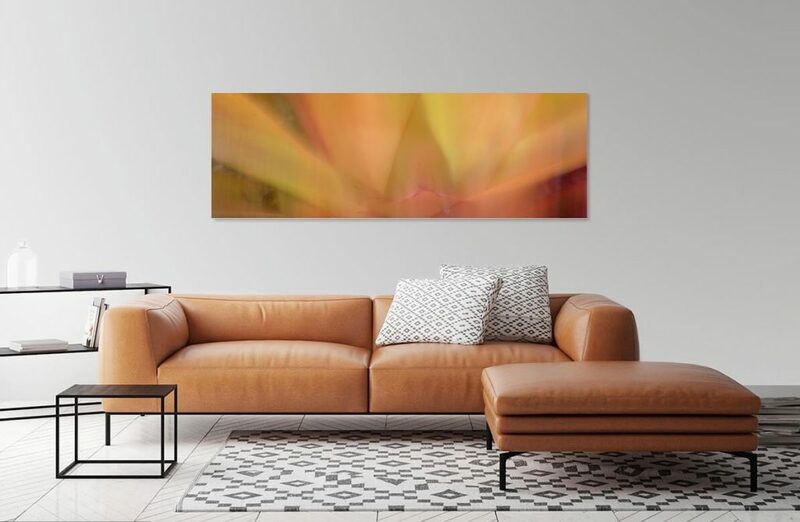 These images add an inspiring vibe to your home or office. 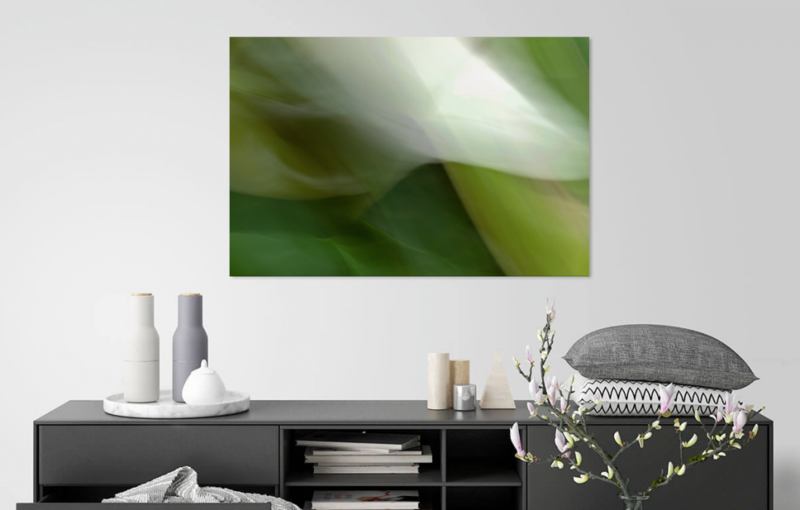 I’m happy to make mockups if you want to email me a photo of your space. 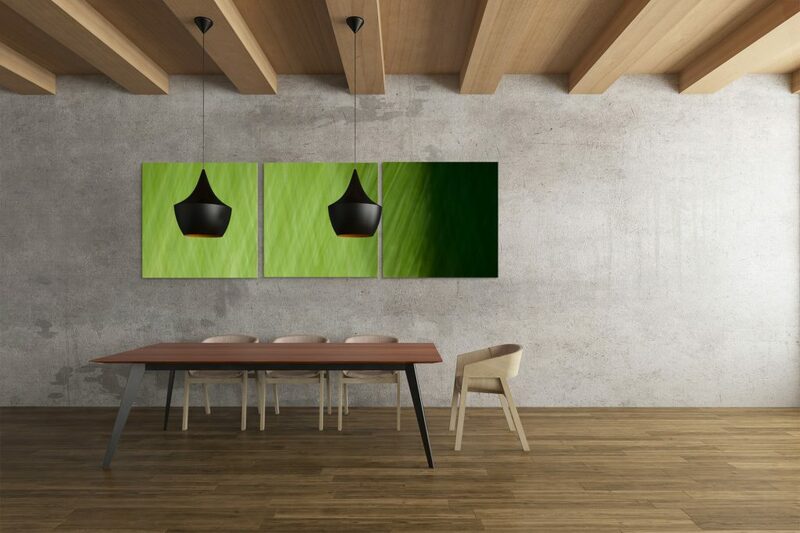 I’ve created a few examples, below, where you can see how the photograph can also be stretched or sliced to complement your space.